“spring”, as well as put one flower, into each bottle. 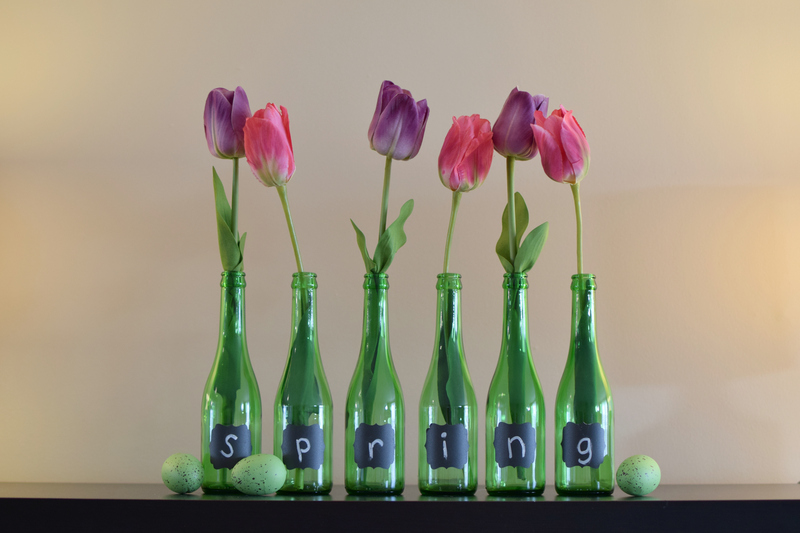 After spring is over, just erase all bottles but the first one, spell out summer, and fill with summery flowers (like daisies or sunflowers!). I haven’t tried it in autumn or winter yet, but since both of those words are 6 letters as well, these bottles could be used year round! In autumn you could use wheat or darker flowers in them, and in winter you could put winter berries or some kind of decorative branches. The possibilities are really endless! (Flowers are from Michael’s Crafts). This entry was posted in Holidays, Silhouette Projects on March 14, 2017 by Megan. 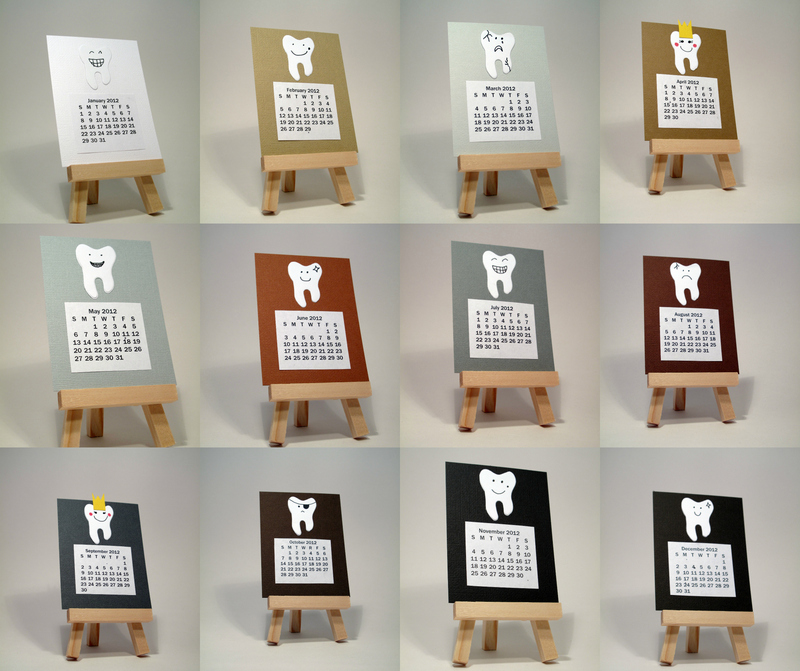 When it’s a new year, it’s time for new calendars, and what’s cuter than desktop calendars?? 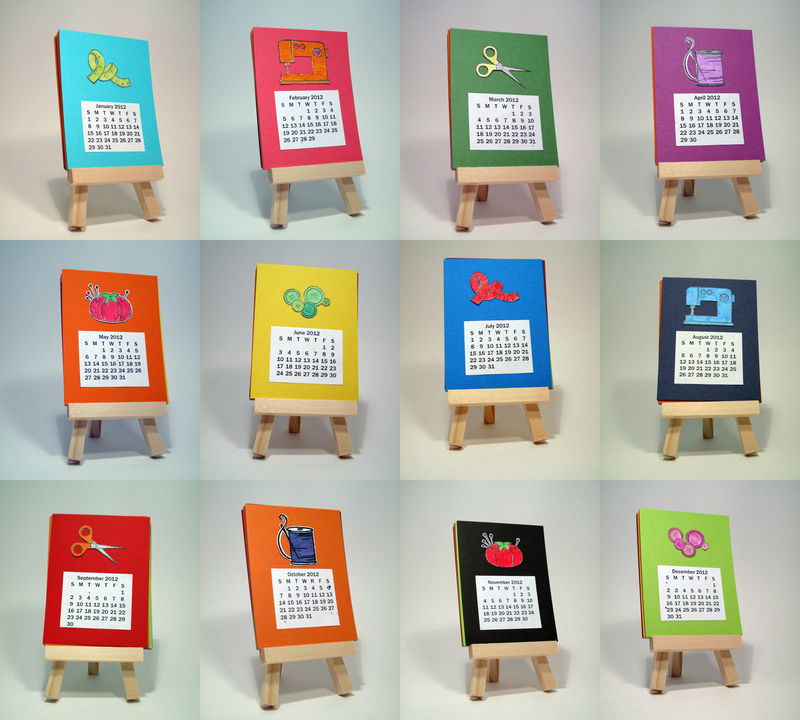 I found mini easels at Hobby Lobby and knew that I had to turn them into calendars. These are from a few years ago that I made for my in-laws. One of them is full of teeth for my FIL who is a dentist, and the other is a sewing theme for my quilting/sewing loving MIL. The teeth are die cuts from a local scrapbook store (before I had my Silhouette) that I just drew faces onto, and the sewing die cuts are ones that I stamped, colored in, and cut out of cardstock. 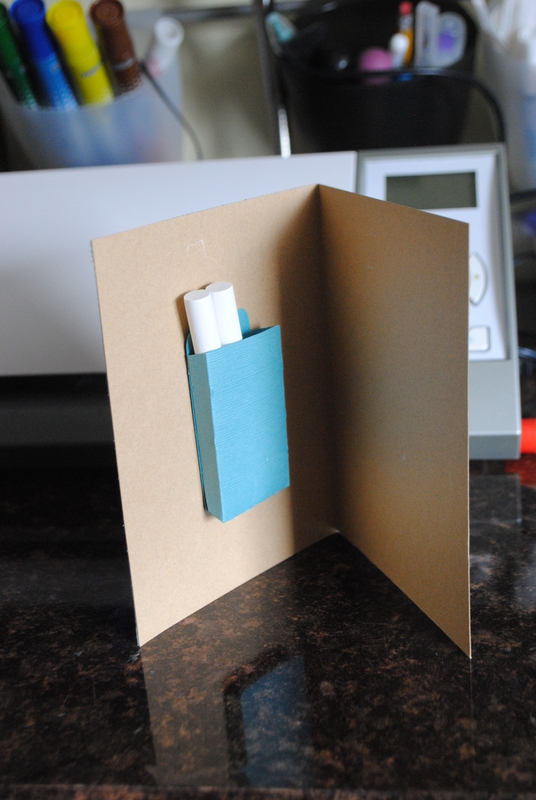 I found mini calendars online to print, then glued them all onto small pieces of cardstock, and voila! They can be modified to any theme you want, are simple to put together, and make a darling gift as well. This entry was posted in Cards/Scrapbooking, Etc., Silhouette Projects on January 5, 2015 by Megan. One of my favorite Silhouette accessories to use lately are the vinyls. There are numerous projects that you can make using them, and most of them so simple! 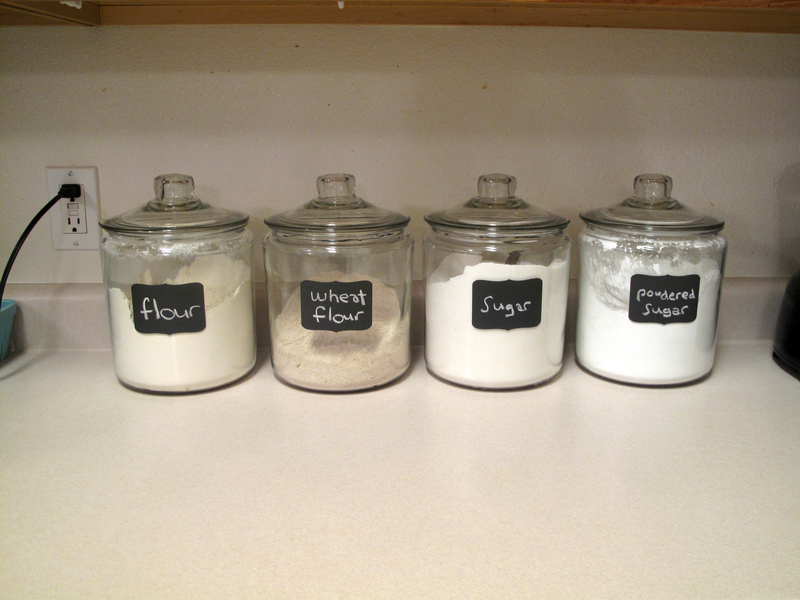 Most of the projects you can find online that have to do with chalkboard vinyl involve labels for things (which I do love and have made), but there are also other fun things that can be made with it. Here are a few of the crafts I’ve made so far using my chalkboard vinyl, starting with the label crafts. First is using vinyl to label a canister or other container. Second is using it to label a memory jar! 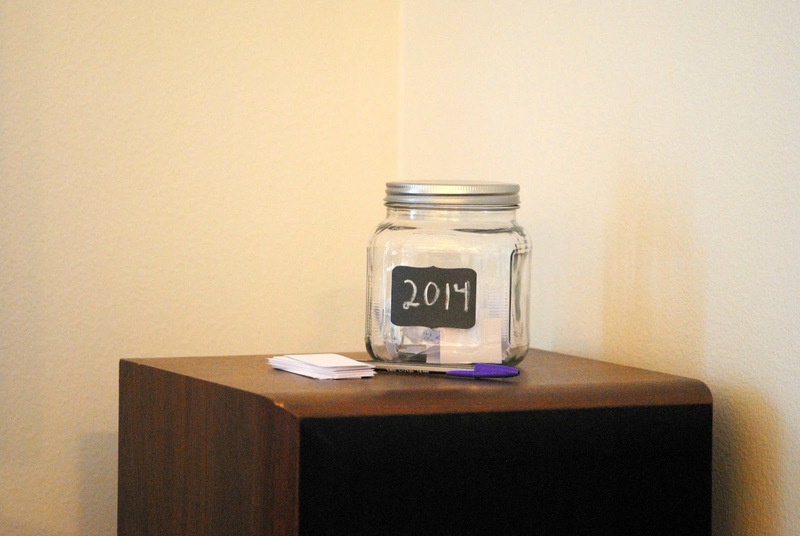 Each year we can add the current year to our memory jar that is filled with memories from the year. On New Years Eve we will read them and reminisce about the great year. 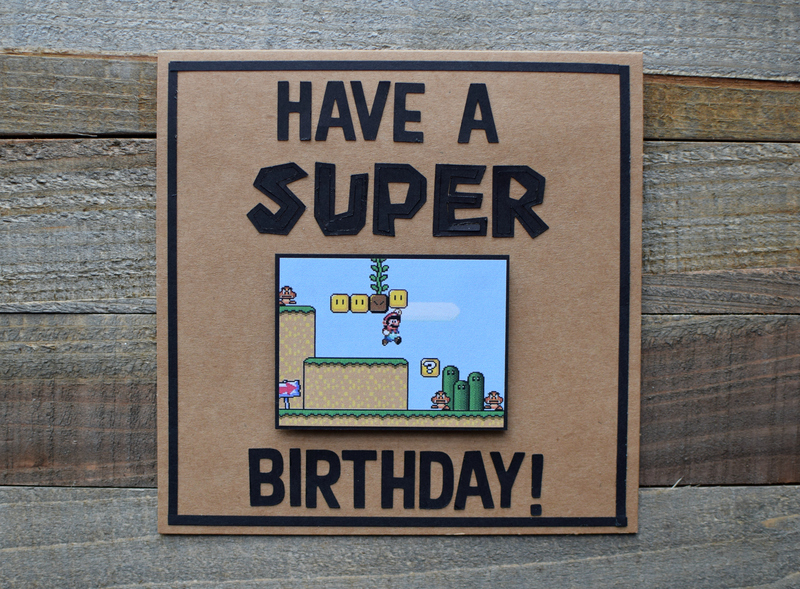 And now for a chalkboard vinyl craft that isn’t label related….a birthday card! 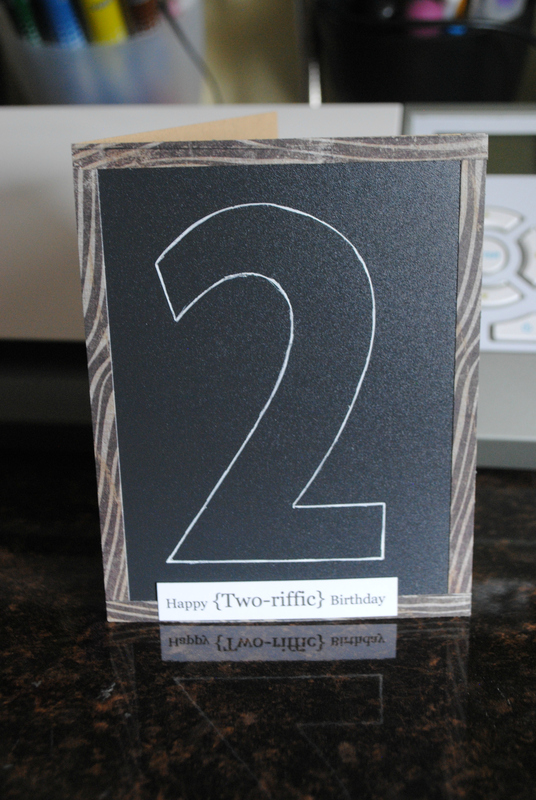 I made this for my nephew who turned 2 a few months ago. Since the front is chalkboard vinyl I included two pieces of chalk for him to draw with. This could easily be modified by not including the birthday sentiment and the number 2, into a simple portable chalkboard for road trips or car rides. There are numerous more! I’m sure I’ll have fun coming up with more ways to use chalkboard vinyl as well. This entry was posted in Cards/Scrapbooking, Silhouette Projects on June 4, 2014 by Megan.